BEVERLY – “Mame” is a battleship of a musical and North Shore Music Theatre has the crew to sail it. “Mame” had already been a best-selling book by Patrick Dennis, a celebrated play by Lawrence & Lee and a successful film before composer/lyricist Jerry Herman came along. Herman upped the ante and, aided by Angela Lansbury and her successors, took the character of Auntie Mame Dennis to a new level when the musical “Mame” debuted in 1966. “Mame” has become a theatrical mainstay for the past half-century, and about the only person to bring the character down was the late Lucille Ball in the 1974 film version, which at least had Robert Preston, Bea Arthur and Bruce Davison to help keep Ball afloat. 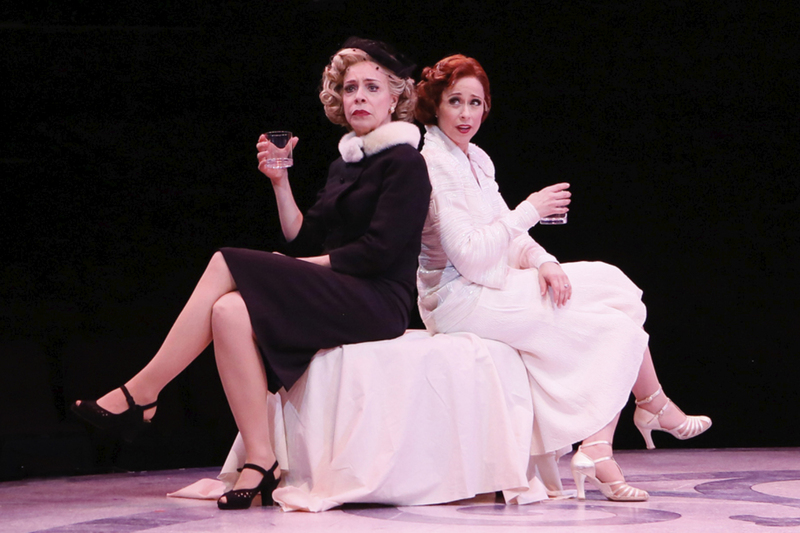 During the Roaring Twenties, Mame Dennis (Paige Davis) is living the Bohemian good life in her expansive Beekman Place apartment in New York City, surrounded by eclectic characters , none moreso than acid-tongued Broadway stalwart Vera Charles (Ellen Harvey), a connoisseur of fine spirits whose wit is as dry as her martinis. It seems an unlikely place for a young boy named Patrick (Jake Ryan Flynn, back from Broadway) and his loyal nanny Agnes Gooch (Lauren Cohn) to thrive, and their arrival on Auntie Mame’s doorstep after the death of Patrick’s father is a sobering and sudden jolt to Mame’s lifestyle, especially because Patrick and his trust come attached to a no-nonsense banker named Dwight Babcock (David Coffee, in his 57th NSMT production). Davis isn’t exactly storming the gates from the git-go as Mame, but she really starts finding her stride in the fox hunt at the end of Act I, in her duet with Harvey in “Bosom Buddies” and while conspiring to keep the older Patrick (Jonathan Shew ) out of the clutches of a clueless blonde (Brittany Bigelow) and her bigoted parents (Stacey Geer and Kevin B. McGlynn). Any NSMT production that includes George Dvorsky and Coffee starts on the right foot and, as you would expect, the dashing Dvorsky oozes guileless Southern charm as Beauregard Jackson Pickett Burnside, who rescues Mame from her hapless attempts at real work and delivers her to his Georgia plantation, where she meets the skepticism of Mother Burnside (Ellen Petersen shining in multiple roles). The marriage to Burnside and his unfortunate demise pave the way for Mame’s rebirth as a rich heiress. Director Charles Repole has done some lovely work at NSMT with productions of “Anything Goes,” “My Fair Lady” and “La Cage aux Folles” and this is one more feather in his cap, aided by crackerjack choreographer Michael Litchfield, who has been nominated for five IRNE Awards, winning two. The duo has developed a feel for the in-the-round setting, and the lack of a learning curve coming in allows them more time for spit and polish. The audience gets the benefits. Add to that the efforts of award-winning music director Milton Granger; I never leave an NSMT show where he’s the music director where the final ovation of the night isn’t for him and his colleagues. Jerry Herman’s delightful score is packed with standards such as“Bosom Buddies,” “We Need a Little Christmas,” “Open a New Window,” “Mame,” “If He Walked Into My Life,” and more. 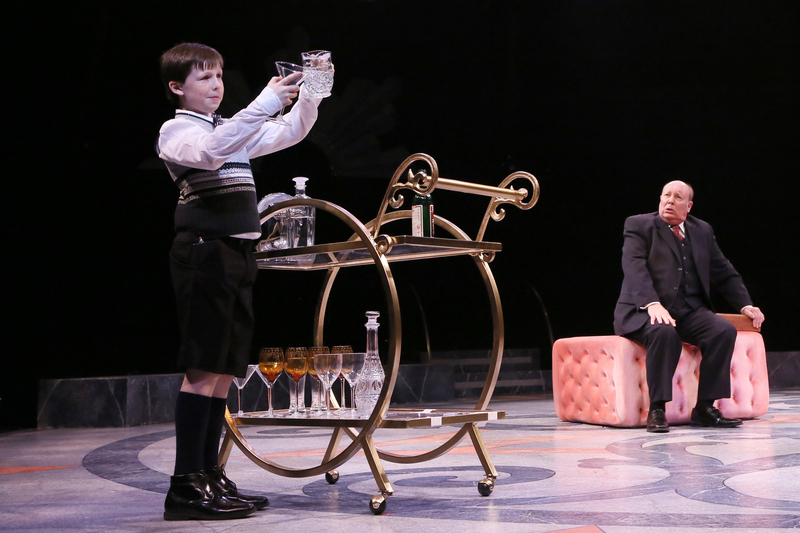 The North Shore Music Theatre production of “Mame.” Directed by Charles Repole. Choreography by Michael Litchfield. Music direction by Milton Granger. Scenic design by Kyle Dixon. 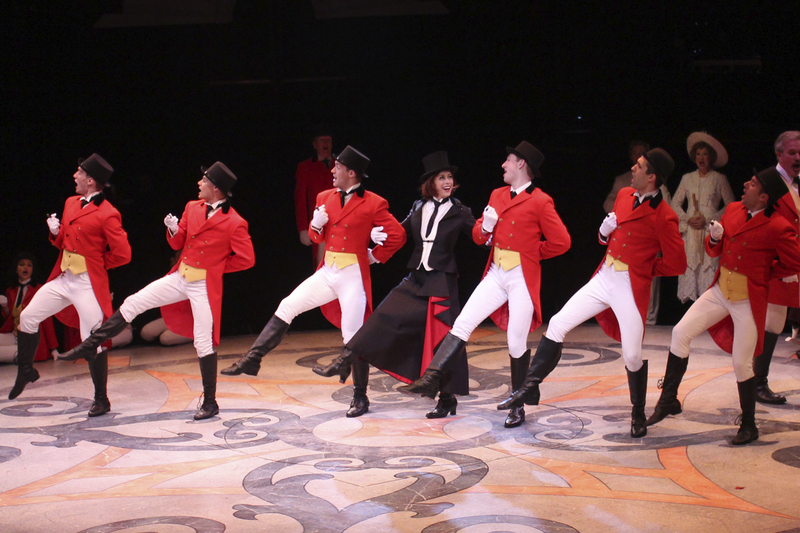 Original costumes by Gregg Barnes. Lighting design by Kirk Bookman. Sound design by Don Hanna. At the North Shore Music Theatre through June 17. nsmt.org.